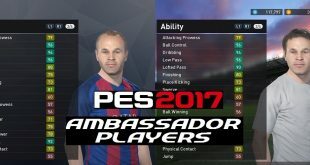 Is PES 2017 Versus Mode Flying Under The Radar? A brand new PES game, lots of new features and stunning feedback appears to have let the new versus mode fly under the radar. 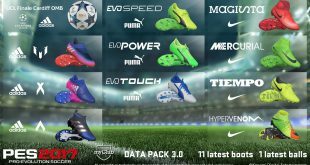 Perhaps only second to the new image importer, the PES 2017 versus mode should be garnering a lot more attention. 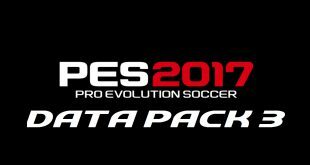 If you play PES 2017 offline then this new element will revolutionise PES for you. Whether you play against the computer, just the one friend or even better, you often play several friends offline, then you are going to want to take full advantage of it. Unfortunately if you just rush into offline play you may miss out; there are steps to take beforehand to make sure you’re set-up to fully reap the benefits of versus mode. We’ll explain these steps and what the PES 2017 versus mode includes. Within the options page and then personal data settings you have 32 different datas available to edit. Each of these can be used for up to 32 offline users. Customise each data setting for each users controls and match preferences and then rename it “Data X” to that user. This will save you from editing the controls every time someone plays. You now have a data setting assigned to each user. Now you are ready to go to versus mode. 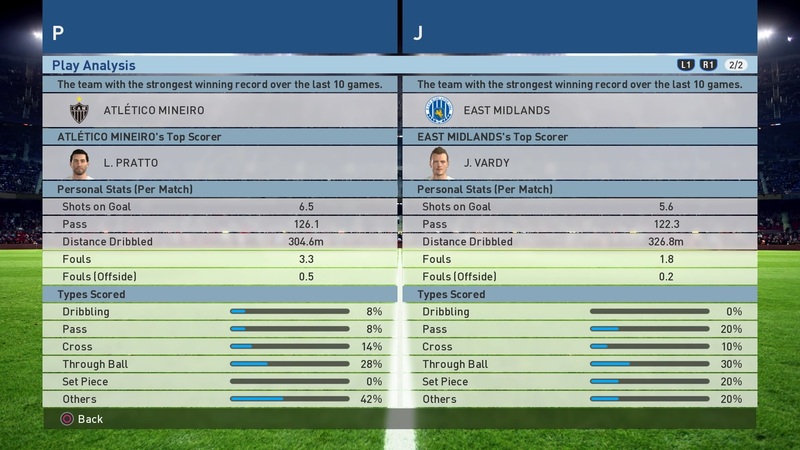 The PES 2017 versus mode is within match and then versus mode. 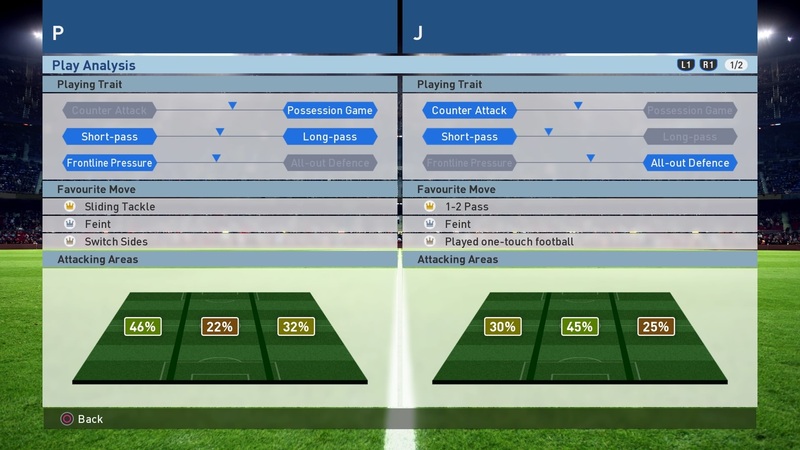 Once you have selected your sides and teams you’ll be able to change the user of each team (the assigned data setting) by flicking through them with L1 and R1. It is as simple as that, any matches played under that data setting, the stats and results will be archived. What Statistics Does The Versus Mode Show? 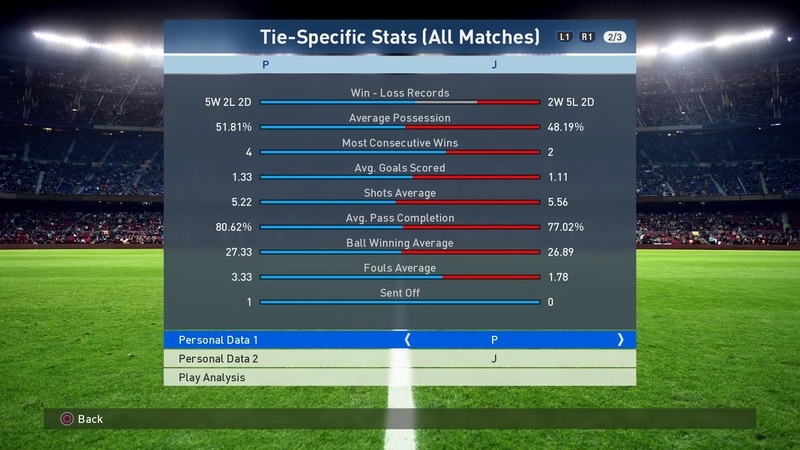 The PES 2017 versus mode also goes on further and breaks down a user’s playing style. This includes their tendency to deviate between counter attack/possession, short pass/long pass and frontline pressure/all out defence. This is supplemented by a user’s favorite moves (e.g. a sliding tackle, 1-2 pass, etc). A user’s attacking areas are also shown – i.e. how often they go up the left, centre and right of the field. Make sure you take full advantage of the PES 2017 versus mode – excuses and arguments between friends as to who is better is a thing of the past!